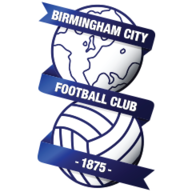 Nikola Zigic's 91st-minute winner clinched a dramatic 2-1 victory for Birmingham over Ipswich at St Andrew's on Wednesday night. The Serbian's close-range effort got Blues out of jail, with the towering striker finishing well after Curtis Davies had flicked on David Murphy's throw. Zigic had earlier given City a ninth-minute lead with a header straight from Murphy's long throw, with his brace taking his tally to four for the season. Birmingham, still unbeaten at home this term, are now up to ninth - two points off fifth - while under-pressure Ipswich boss Paul Jewell has seen his struggling side lose 11 of their last 14 matches. 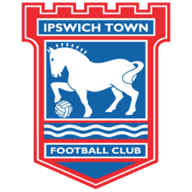 Both sides rang the changes after their FA Cup ties at the weekend, Birmingham recalling seven players and Ipswich five, including a debut for goalkeeper Alex McCarthy following his loan signing from Reading. And there were just nine minutes on the clock when McCarthy was beaten as the hosts took the lead out of nowhere. Myhill was replaced at half-time due to illness, with Colin Doyle taking his place. Jason Scotland saw an effort deflected wide for Town while Jonathan Spector failed to find the well-placed Marlon King 12 yards out. Martin was next to see his strike blocked by Davies before Zigic tamely headed a clear opening at McCarthy with the game hanging in the balance. Birmingham came closest to regaining the lead in the 73rd minute as King thundered a half-volley against the outside of a post from Burke's cross. Ipswich appeals for a penalty were waved away after Caldwell's tackle on Martin before the late drama settled matters.